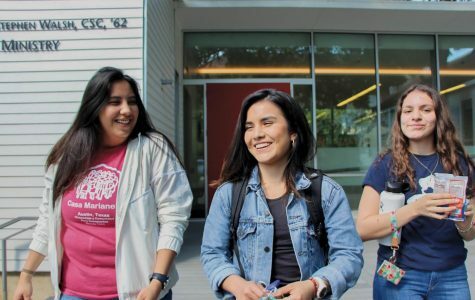 Gissel Gamez (left), Mireya Torres (center) and Adriana Mendoza Ortiz (right) have found comfort on the hilltop after the intimidation of transferring has passed. 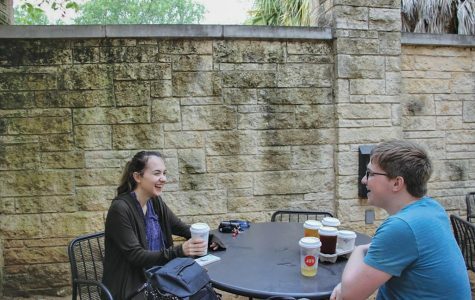 St. Edward's students Victoria Applewhite and Brian Mack enjoy each other's company over a cup of Jo's coffee. 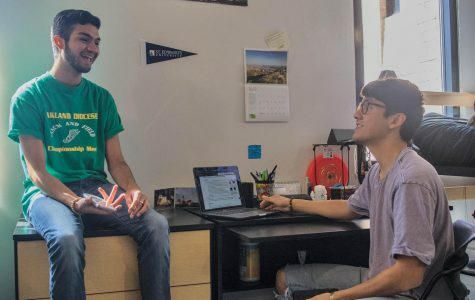 From the Rio Grande Valley to Austin, freshmen Carlos Chavira and Eduardo Carrillo have made the move from high school friends to college roommates. 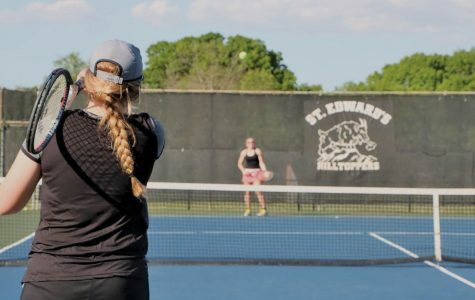 Isabella Rieger's involvement with club tennis has given her the opportunity to make close connections with her fellow teammates and continue working on her passion for the sport. With the vast number of social media platforms, the way we communicate and build relationships has changed the way we live. 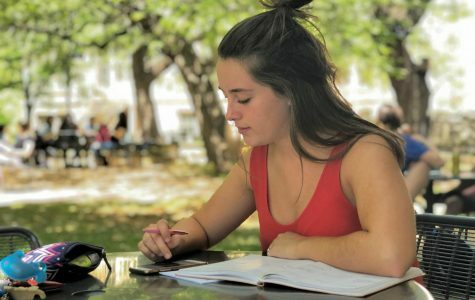 SEU junior Selma Gutierrez has managed to keep a close connection to a few of her friends from her hometown of Santa Fe, New Mexico. 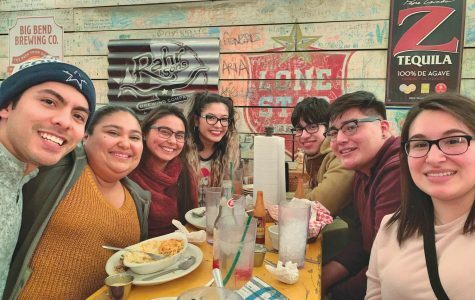 No matter the distance, the bond has stayed strong.